In talks with the leading lady in early education ‘Deepa Bhardwaj Singh‘, Founder, Udgam Preschool. She explains the vision of Udgam, about improvising focus on all important aspects of life of children like, cognitive, physical and social in early years to inculcate the good habits and promising a better future ahead. Q.1 Tell us about your journey at Udgam? Q.2 Tell us about the learning environment at Udgam? What makes it special? Udgam has introduced the learning bridges for age specific curriculum and activity programs. Youngest Age group (0.4 to 1 Years ) Totter’s – circle time is very interesting. Art, storytelling, science, language development, role play, music and movement is a part of daily time table. Age (1 to 2 Years) toddlers enjoy fun with learning by exploring the environment, receptive learning skills, understanding directions, physical development. The young lads of age between 2 to 4 years are nurtured for multistep sequences parallel play, creativity, language, communication and fine motor skills along with regular art and fun activities. 4 Years and above are called Strivers who seek sustained attention, to learn how to focus and to concentrate through Sensory processing. Writing skills and Indoor and outdoor games are part of day to day schedule. Q.3 Extracurricular activities, you think they play a crucial role in child’s development? Udgam Fit: For a healthy mind, body and soul of a child under the supervision of trained staff and a robust health and fitness assessment system. Udgam rhythmic: Children take to music like fish to water. These program help children enjoy music and develop a year for it. Udgam expressive: Ensuring the kids soar high on the wings of their dreams and explore the world. Udgam creative: Painting the colors of imagination, Udgam aims at infusing innovation and creativity. Udgam Scientific: With an idea, the more you explore the more you discover. Ignite a thinking mind and develop curiosity and in-depth thinking. Q.4 How has the teaching and learning process changed over the years? Early childhood education has evolved through technology based new concepts. Udgam has introduced innovative learning environment through a strong support system. For assuring the parents about their children, by informing about the daily schedule of school, as well as the progress is all supported with latest technologies. Mobile notification apps, multimedia content and online educational material is accessible to parents. Q.5 What makes Udgam a obvious choice for corporates? Tell us about new onsite projects. 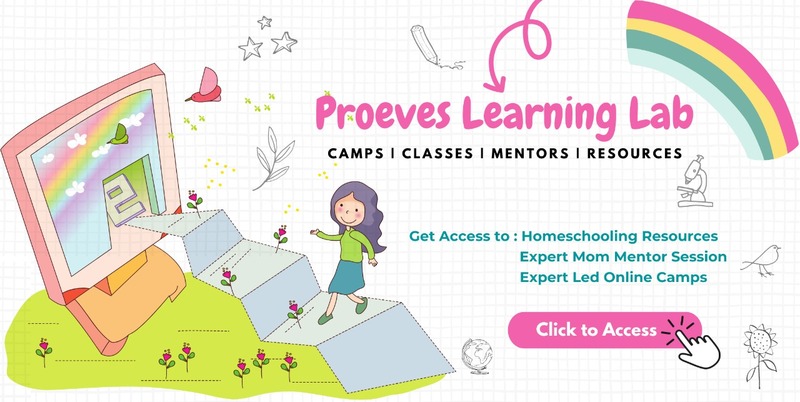 Parents today are well educated and always be on the lookout for schools which bring in global standards of operations as well as innovative concepts in the learning environment. Being a concerned and caring parent they entrusts us for the growth of their precious little ones. UDGAM assures support in developing a well-rounded & confident personality of children. Udgam recently started an onsite project – UPES, at Dehradun, Himalayan university. Q.6 With the companies supporting women with childcare benefits, do you feel, we will see more women taking up challenging roles in the future? Yes absolutely, it would be a great support system which company can endorse to encourage women to take on the further challenging roles while making them less worried about their little ones. This would give them a sense of security and well-being towards their work and company and also lower down the gap in sabbaticals. Q.7 Your message to working parent? Udgam has specialized Infant care area with well trained staff. 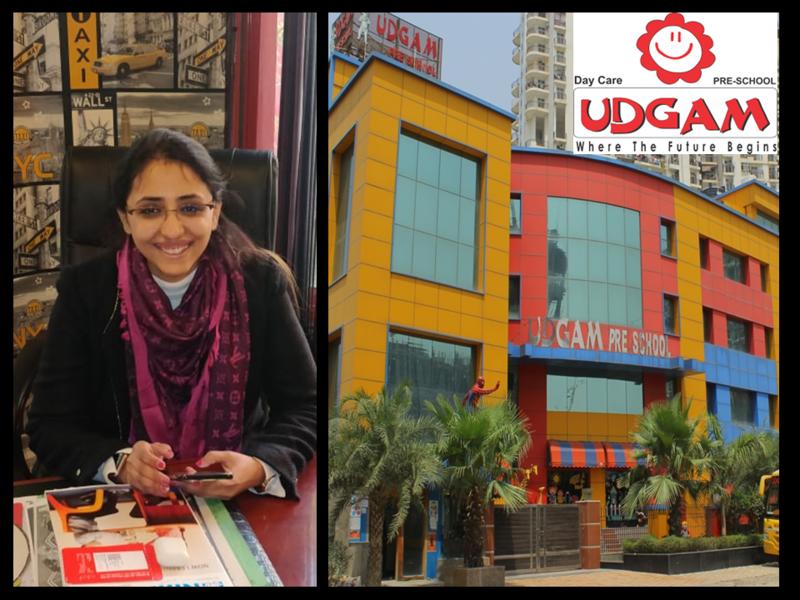 Apart from regular daycare, Udgam has an extended time support till midnight for supporting corporate parents who are working in international shifts. With Udgam, you can rest assured of a multidimensional and strong foundation in early years for a great future ahead for your children. Q.8 Why should one choose Udgam? Daycare starting from age four months and above, specialized Infant care and daycare with extended time support till midnight. Well trained staff: Most experienced fraternity Orientation program by child educationist. Smart classrooms with dedicated learning application and teaching aids. Low student teacher ratio.